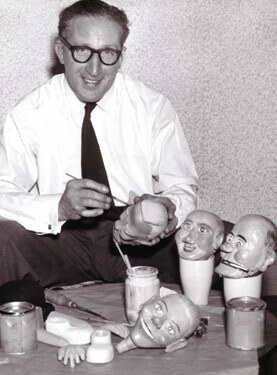 Ronnie Cryer’s puppetry career spanned Britain’s Golden Years of Variety - from the mid-1950s to the mid-1980s. He enjoyed the final 10 years of Variety Theatre and the best years of Clubland, playing all the Number One venues with such legendary entertainers as Max Miller, Laurel & Hardy, Jimmy James and Tommy Trinder. 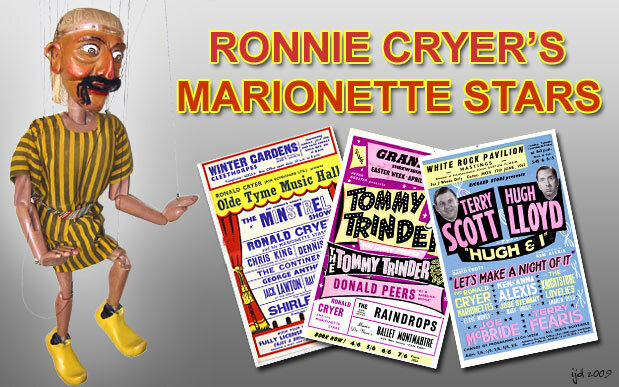 Looking back to the beginning of his interest in marionettes, Ronnie Cryer is quick to credit the part played by Pelham Puppets in his choice of career and readily acknowledges that he had a lot to thank Bob Pelham for. 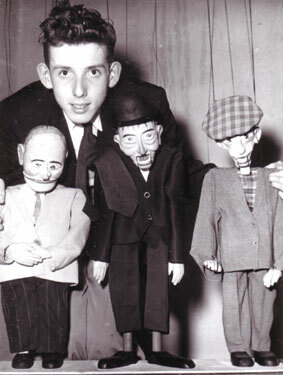 Ronnie’s first taste of showbiz came at the age of 9, when, with his Pelham Puppets, he won a Talent Competition at the Spa Royal Hall in Bridlington in front of an audience of 3,000 people. That was in 1948 and was quickly followed by numerous Sunday School Concerts, Masonics and the general round of bookings required to establish his name and gain experience. 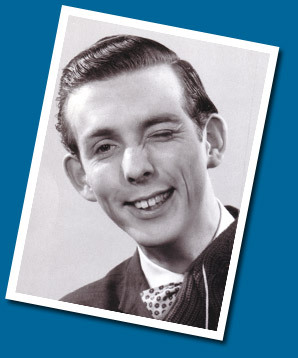 At the age of 13, Ronnie made his first TV appearance on a programme called “All Your Own” - a BBC variety show for young performers presented by Huw Wheldon. 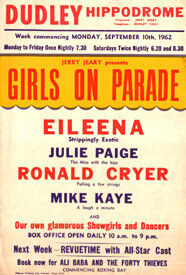 The Producer was Cliff Michelmore and the Musical Director, Steve Race. 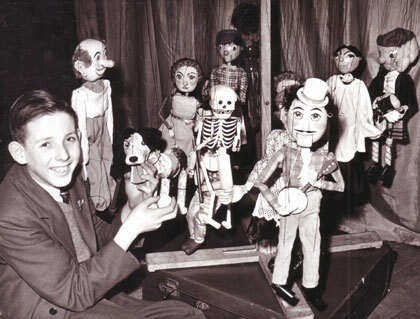 In those early days, the puppets were a mixture of the larger-size Pelham figures and marionettes made by Ronnie’s Father - John Cryer - a professional joiner and cabinet maker, who was also an accomplished wood carver. The legendary Circus Clown, Charlie Cairoli was a family friend and John Cryer’s creative talents were often called upon in making props for Charlie Cairoli’s Circus Act. 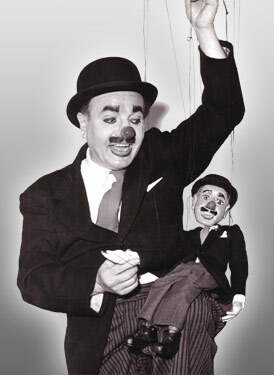 John also carved a very accurate portrait marionette of Charlie Cairoli pictured below. 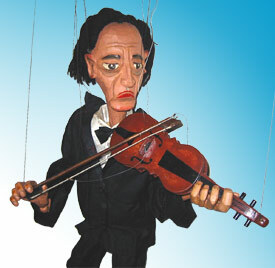 As Ronnie’s career progressed, he gradually took on the puppet-making duties himself and at the same time, began to increase the size of the puppets at the request of the Managements of the larger venues in which he was now appearing. 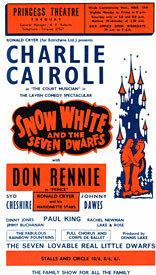 Early influences for Ronnie were the amazing cabaret puppets of Martin Granger and an Italian Family of puppeteers who toured extensively with Tommy Trinder – a role which Ronnie took over himself in later years and notes that Tommy Trinder did not like to appear with other comedians, but he liked to be supported by other acts that got laughs and puppets fitted the bill perfectly. 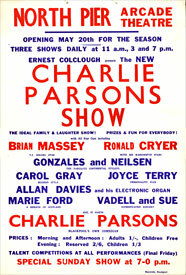 He would have little realised at the time, the role the Pier Pavilion and Colwyn Bay would come to play in the future of British Puppetry, with Colwyn Bay becoming home to the Harlequin Marionette Theatre in 1958 and the Pier Pavilion becoming a principal venue for the 1963 International Puppet Festival. 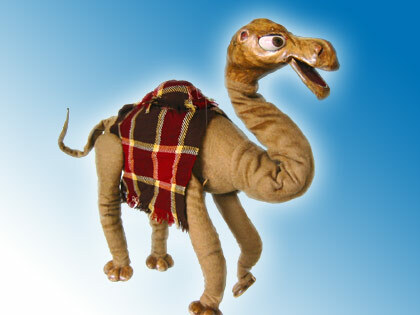 Ronnie’s most popular acts with audiences, were his caterpillar and a singing camel which had another little character who popped up out of the hump to provide a second singing voice. In terms of manipulation, the routines Ronnie was most proud of were his sand dancer and pianist characters. In the earlier part of his career, like most other speciality acts of the time, Ronnie used the pit orchestra. It was only in the later years that pop records started to be used and even then, Ronnie still used a combination of the pit orchestra and recordings. 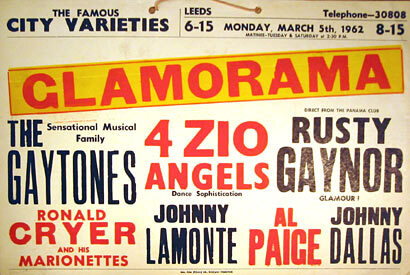 Ronnie’s all-time favourite venues were Leeds Empire (now Harvey Nichols) and Bradford Alhambra, with his least favourite, surprisingly, being Leeds City Varieties – the reason being that for an act relying on a follow-spot, the City Varieties still used their original limelights which had a habit of failing right in the middle of Ronnie’s act, plunging the whole theatre into blackout. 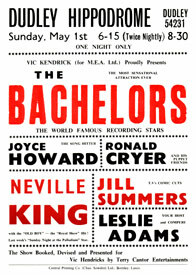 It is difficult to imagine today how popular seaside summer shows once were and the top name stars who appeared in them. During the heyday of his theatre appearances, Ronnie remembers a Season on Blackpool North Pier which opened in May and ran until November, playing three shows a day to packed houses. 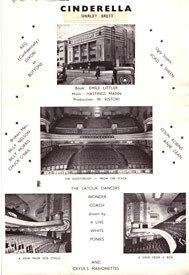 During its run, the Producer of this show would be devastated if any seats remained empty at any performance – and such seats would not be empty for want of patrons, they were simply single seats isolated at the end of rows by block bookings which the Producer thought the Box Office Staff should have been able to allocate better. 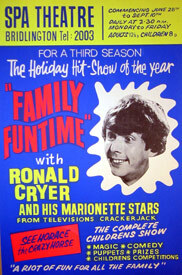 Around this time, Ronnie worked with the Dalibors on the very first Pinky & Perky TV series – “Pinky & Perky’s Pop Parade” but plentiful stage work meant he was unavailable for further series. When variety re-located to Clubland in the 1970s, Ronnie moved to the North East, from where he could work almost non-stop without travelling much further than 40 miles from home base. The act was again tremendously popular. So much so, that at one point, he had to ask his agent for a night off, as he had been working 7 nights a week, very often at more than one venue per night for 16 weeks without a break. Considering the size, weight and number of figures involved, it is amazing to think that Ronnie undertook this colossal workload, single-handedly for about 30 years. By the early 1980s, Ronnie could sense that Variety was coming to the end of the road. He could see other entertainers, even some of the greats, becoming unable to find work and having no other skills and little or no savings to fall back on. 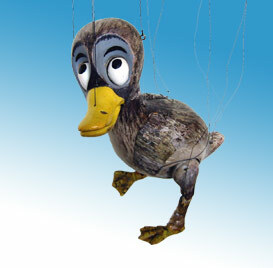 So even though he had firm offers of panto for the next 3 years, Ronnie decided it was time to leave puppetry to pursue other business interests and although he remains a prominent figure in the Leisure Industry, he never returned to puppetry. 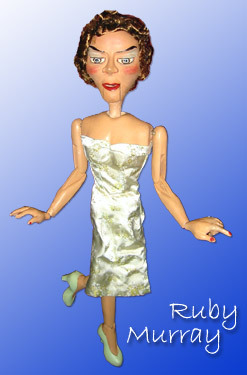 The Ronnie Cryer Marionettes have now joined the Douglas Hayward Puppet Collection at the Staffordshire County Museum, Shugborough Estate, Staffordshire. The Museum is open to the public from March to October each year.